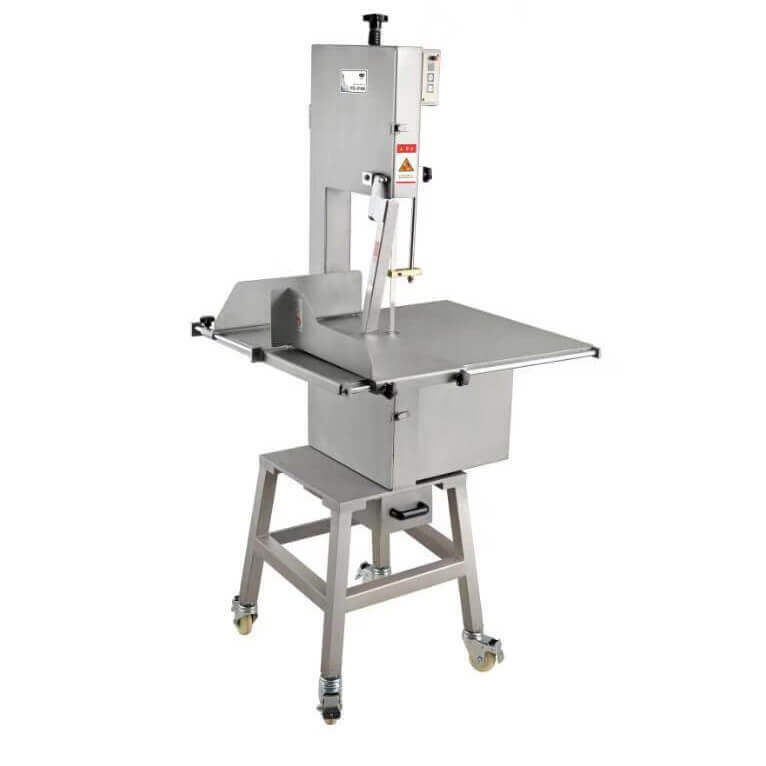 The bone saw machine is a food processing machine designed to cut frozen meat and bone into small pieces. Cut bone or meat between the push plate and the saw band. Lift the meat handle with your left hand and push the material onto the bezel with your right hand. Then push the feed handle with your left hand and feed forward until it is cut. 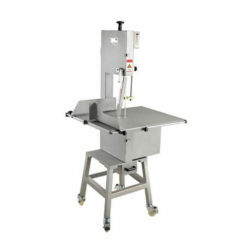 The bone saw is ideal for cutting meat, bones, frozen meat, poultry and fish. 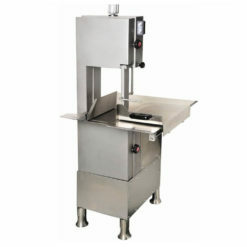 They are widely used in hotels, restaurants, food processing plants and slaughterhouses. 1. 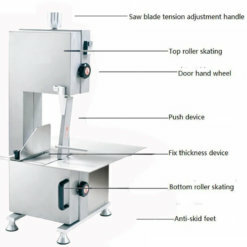 Stainless steel band saw to prevent wear and ensure food hygiene. 2. Full copper wire 1500W motor, super high power drive. 3. 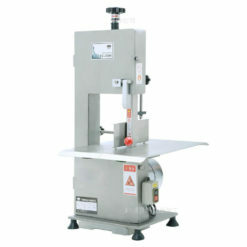 Sweden imported saw blades are sharp and durable, in line with health standards. 4. 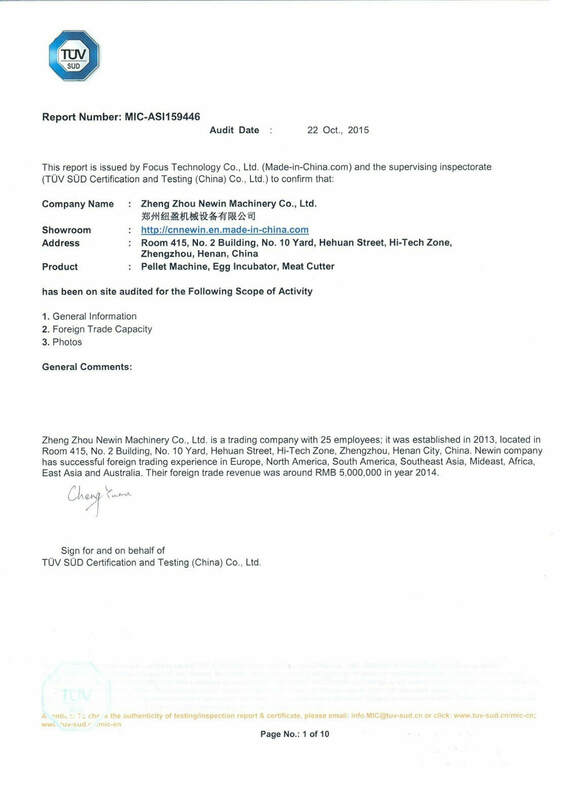 Variable frequency speed control technology is used to effectively extend the service life of the saw blade. The scope of application of the bone saw machine is not only used for sawing and freezing of whole pigs, sheep, cattle and other livestock bones. 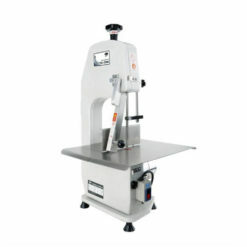 But it can also be used for small pieces of frozen meat, pork and fish diced. 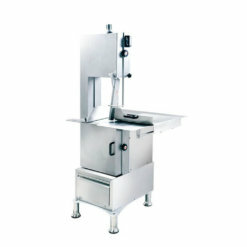 Widely used in hotels, hotels, food processing plants and slaughterhouses. 1. Do not put your hands on the bone saw when the machine is running. 2. Turn off the power when not using the machine. 3. Please clean the machine regularly.